I can’t believe it’s been two years since Darwin Deez released his album “Songs For Imaginative People”, the follow up to his highly successful self-titled debut. This week, the indie-pop renaissance man has shared a new single entitled “Kill Your Attitude”, already debuted on BBC Radio 1 as Annie Mac’s “Hottest Record In The World”. This song is a sneak peek into Darwin Deez’s forthcoming third album, the details of which have yet to be announced, but is set for release this Autumn. 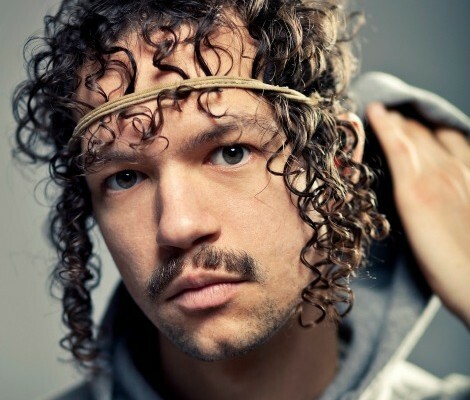 “Kill Your Attitude is a song about interpersonal squabbling” says Darwin Deez of the new track. “I love to fight. To argue. I fought a lot with my mother growing up. Consequentially, it doesn’t feel like love to me if there isn’t fighting. But fighting itself is the opposite of love”.